And you thought Tuesday's NSAC hearing was going to be the last we'd hear of the UFC 229 post-fight melee. 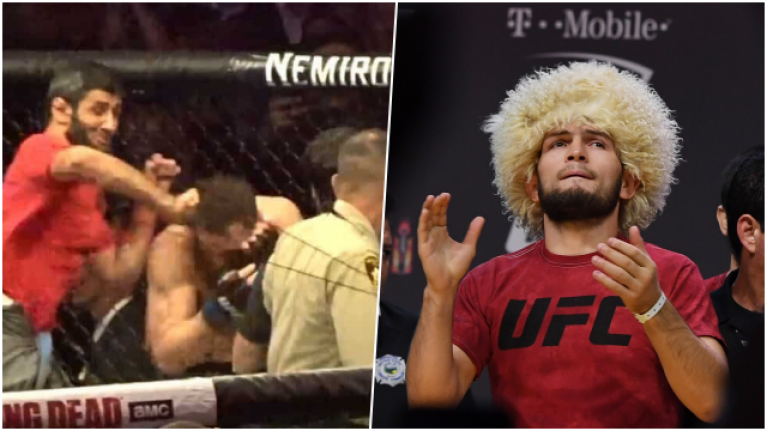 Earlier this week, Khabib Nurmagomedov was fined $500,000 and suspended for a maximum of nine months for inciting the brawl after he submitted Conor McGregor in the lightweight title fight. McGregor, meanwhile, escaped with a $50,000 fine and six-month ban which means he will be free to return to action on April 6. The Irishman accepted his punishment, thanking the Nevada State Athletic Commission for "fair assessment and handling of the brawl incident." McGregor continued: "It was not my intention to land the final blow of the night on my opponent’s blood relative. It’s just how it played out. I look forward to competing again soon. Thank you all." Straight left hand inside the attackers jab. He attempted to use the big security guard that’s in all the movies as cover, but I could smell him a mile away and landed flush down the pipe. 'The Notorious' then shared a photograph alongside a caption in which he boasted about countering an attempted attack from one of Nurmagomedov's teammates with a left hand "flush down the pipe." Nurmagomedov has been less accepting of his penalty, reportedly refusing to fight in Nevada again and planning to sit out until his two teammates - Zubaira Tukhugov and Abubakar Nurmagomedov - are cleared to fight on October 6. 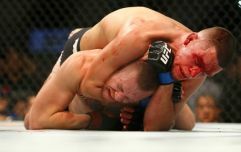 The undefeated Russian has also taken umbrage with McGregor's claim that he landed the final blow at UFC 229, sharing a photograph of one of his cornermen sucker-punching his Irish rival.